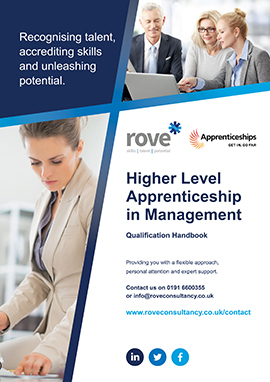 There has never been a better time to consider an apprenticeship. Young people can ‘GET IN AND GO FAR’ with an apprenticeship and end up working in a multitude of different organisations. 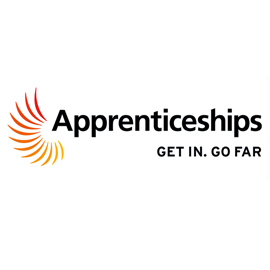 Apprenticeships are a great opportunity to follow a real pathway to achieve success in your chosen career. Rove have been delivering a range of Apprenticeships in the public and private sectors in the North East for almost a decade. 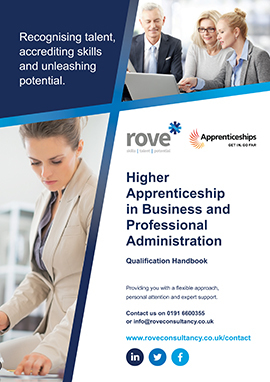 Rove are proud to have been accepted onto the Education Skills Funding Agency’s new Register of Apprenticeship Training Providers (RoATP). The aim of this new register is to ensure anyone taking an Apprenticeship is doing so through a quality, registered training provider and rove were awarded their listing in March 2017 when The Department for Education (DfE) and the Education Skills Finding Agency (ESFA) published the new Register. Every training organisation who has been successful in gaining access to the RoATP have been through a rigorous assessment process to make sure they meet the quality expectations required by the ESFA. As part of the new Apprenticeship reforms which include the Apprenticeship Levy, employers will now choose their training delivery partner from this register for all Apprenticeships starts from May 2017. The amount you get depends on whether you pay the apprenticeship levy or not. You pay the levy if you’re an employer with a pay bill over £3 million each year.